ALLEGRA BOVERMAN/Staff photo. Gloucester Daily Times. 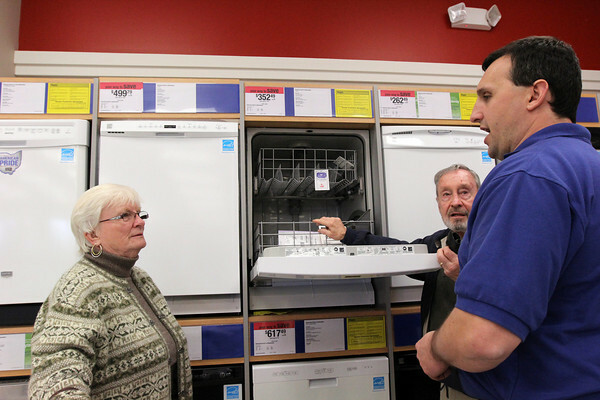 Gloucester: Sears employee Dan Kariores, right, helps Frank and Carol Gray of Rockport with purchasing a new dishwasher at Sears on Friday morning at the Gloucester store.